If I wrote a novel about an ex-prisoner who became a successful major league ballplayer and Detroit legend, I’d probably name him “Gates” Brown. William “Gates” Brown died Friday at 74. 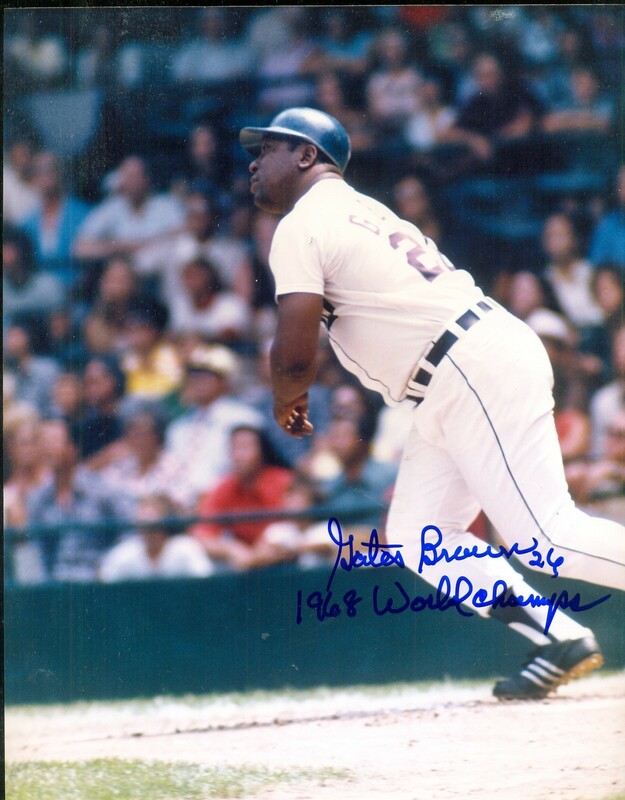 Mr. Brown was among the greatest pinch hitters in baseball history, batting an absurd .450 in 40 pinch-hitting appearances (and .370 overall) for the Tigers in their 1968 championship season. As a kid, I admired him for his cool demeanor at the plate, the fine career he fashioned from a very specialized skill, and a near-Ruthian story about toting hot dogs on the basepaths. What’s not to like? On the backs of baseball cards, they generally list information like “Bill enjoys bowling in the off-season!” rather than “Bill did 22 months for B&E!” — and athletes of the day were quite content to keep their criminal histories in the closet. Still, even as a little leaguer, I knew something about Mr. Brown’s past. His 1974 Topps card, which I happen to have in my office (don’t ask) says, “Gates makes public appearances for the Tigers.” And he did just that, according to this 1974 piece from The Argus-Press, which details his efforts to get kids “on the right track” and his television appearances discussing his prison history. He’d done 22 months in the Ohio State Reformatory at Mansfield — an iconic prison used in certain Shawshank Redemption scenes. Mr. Brown was also forthcoming about the racism he endured coming up the ranks in the Jim Crow south of 1960. Because the first year of his career was spent on probation, he knew that reacting physically to racist fans and coaches would quickly put said career to an end. 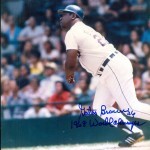 Nevertheless, Mr. Brown progressed quickly through the minor leagues, playing 13 years in Detroit and then serving as hitting coach from 1978 to 1984. So, while baseball fans will remember Gates Brown as the consummate pinch hitter, the matter-of-fact and compelling manner in which he told his desistance story is also well worth remembering.